Explore the work of EVA & ADELE over the last 25 years in their reflective exhibition. The exhibition space at me Collectors Room in Berlin Mitte is for private art collections, where visitors can find their path to art. On display until the 27th August is the work of artist-couple EVA & ADELE over the last 25 years, under the exhibition title L’AMOUR DU RISQUE. Since 1991 EVA & ADELE have been living together in order to question perspectives, concepts and relationships that are frequently taken for granted. They have created a common conceptual artwork in that, when in the international art world, they must be together, dressed the same and always smiling and define themselves as coming from the future living a radical shared existence to embody their vision for a new definition of gender roles. Their concept of FUTURING displays both courage and audacity in conveying with energy their ideas to the wherever they appear in the world. The exhibition therefore explores the concepts which underly the pair’s art and imagery through a comprehensive selection taken from some of their most important groups of work, consisting of various media such as drawing, painting, photography, video, sculpture as well as self-made costumes. These illustrate the transgressive artist existence of EVA & ADELE, the concept also includes objects that have been crafted specifically for the exhibition such as a perfume from Grasse, France and a signed wristwatch by Swatch. A large part of the exhibition focuses on their international work, the extravagant WINGS Costumes from 1992, 1995 and 1997 together with the video works which are based on them and for the very first time all of the costume logbooks will be displayed which consists of 162 sheets! Incredibly within this collection EVA & ADELE have meticulously recorded each outfit a long with its matching pairs of stockings, handbags, umbrellas etc. EVA & ADELE live their performance 24/7 with no beginning and no end every day, proclaiming that ‘Wherever we are is a museum’. This exhibition presents a huge array of their immersive and thought-provoking work, if visiting Berlin before it ends it is definitely worth a visit. Head over to our app here to find out more! The Museo Nacional de Artes Decorativas located in Madrid is one of the oldest museums in the city and is a captivating place, illustrating the evolution of industrial or “minor arts” such as ceramics, glass and textiles. Beginning life as a research and learning facility rather than for tourism, it now houses around 40,000 pieces with emphasise on 16th and 17th centuries with a significant number of Arabic world items. Currently the museum is housing the dual exhibition los díez en los campos expandidos. Diseño de producto y poesía visual, until September 2nd. Presented is the work of the Díez formed by Madrid based brothers, the industrial designer Javier Díez and interior designer José Luis Díez in which objects from the field of product design collaborate with pieces of visual poetry. Beginning their careers as designers the brothers developed products which complied with the standard binomial form and function. Later however they started to rehearse with self-commissioned artefacts in order to generate objects linked to visual poetry playing with their forms and meaning. They have employed a dual dissociation of tasks reaching high levels of quality, establishing an isolated and relevant event in the Spanish design scene in which it has not been well received to “artistize” the products or cross disciplinary boundaries until recently. Curated by Juli Capella visitors can explore the two creative facets of the Madrid studio Diez. Be sure to download out app here to find out more! The Lenbachhaus museum in Munich is currently showcasing the captivating exhibition from German artist and professor Stephan Dillemuth. A former student of the Art Academy in Munich and Dusseldorf Art Academy, Dillemuth works with an array of mediums such as videos, installations, performances and paintings. Intriguingly the root of the artist’s work revolves around his questioning of the role that artists play in the industry and within society. Using the term ‘bohemistic’ to describe his open-ended research method, he explores a range of artistic life such as the German life reform movement, Munichs Bohemia just before the turn of the century and the institution of the art school to uncover their meaning. On display are the current sculptures from the artist as well as early pictures dating from 1979-1984. Visitors may notice throughout the exhibition two motifs that Dillemuth has used in many contexts, the goat and cogwheel. The cogwheel has appeared in his work over the past 17 years, standing for a small cog in the big machine of the system. The goat on the other hand may represent the artists alter ego or ally. These two subjects come together in the installation The Goat Carousel and is both a personal and systematic object, projecting various works Dillemuth created in the 80’s while in Chicago. One area of the exhibition showcases three examples of work from his time as a student at Dusseldorf, a period when he began painting his so-called Bavarian Paintings in 1979. The paintings are based on regionally specific kitsch postcards of couples and children in traditional dress, which are still in print today. Lenbachhaus will be housing the exhibition until September 9th, photos and a more detailed insight into the story of Stephan Dillemuth and the displays can be found in the CloudGuide app! This immersive exhibition, running until August 26th, allows visitors to explore the diverse range of primates that the world offers, through lively and artistic taxidermy, atmospheric lighting and natural décor. The exhibition, created by the Belgium Museum of Natural Sciences and in partnership with the Parque de las Ciencias (Grenada), allows you to get up close with primates to gain a sense of their power, agility and intelligence. Displays are skilfully designed through the use of natural scenes of which these species were once a part of, allowing the imagination to run wild, no doubt kids will be amazed at what they see and so works great as a family day out. Interactive activities for the whole family such as digital games and incredible imagery will transport visitors into the world of primates, providing knowledge and insight into these incredible animals. Thanks to the thorough layout of the exhibition visitors will feel as though they are being taken on a journey, escaping their day to day life to explore the world of more than 60 species. It is a chance for individuals to really appreciate these primates by discovering their behaviourisms, how they live, communicate and use tools to obtain food. The exhibit gives us, their close relatives, a thorough understanding and awareness into how we can ensure they remain a significant part of this planet for years to come. It should be noted that the specimens presented were not killed for the exhibition or taken from their natural habitat. Uncover the guide on our app, a tour that will take you on an adventure in the discovery of these fantastic primates! Known internationally since 1965 for their original and ambitious projects and as one of the UK’s most prominent contemporary art galleries, Modern Art Oxford together with Drawing Room are presenting the temporary group exhibition, A Slice through the World: Contemporary Artists’ Drawings. Running from June 16th – September 9th the exhibition celebrates and delves into the power that traditional drawing still holds in the age of mass media, an era that has left many of us digitally exhausted. A Slice through the World exhibits the work of 14 international artists who are committed to the materiality of paper and pencil, making clear their interest into different historic drawing approaches and techniques and magnificently showcasing their incredible skill and detail that they are able to achieve through these ‘humble’ resources. 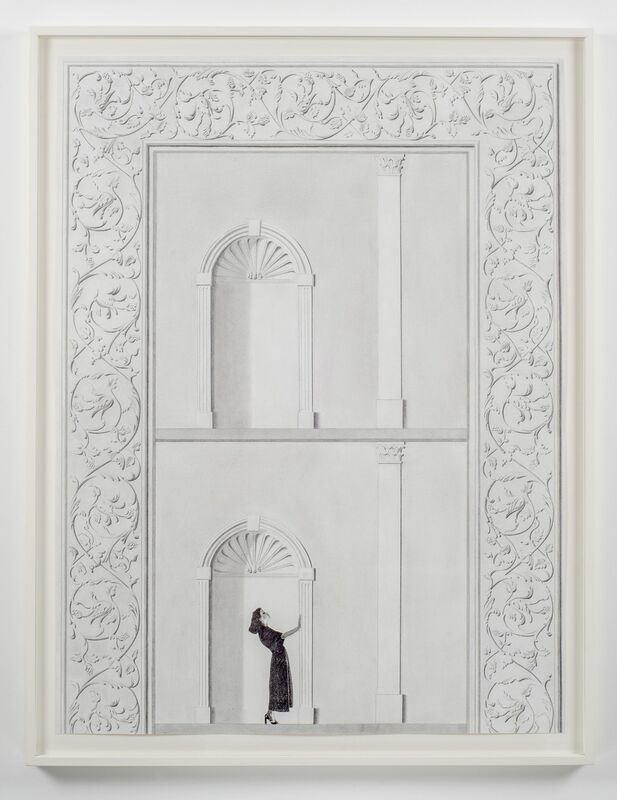 The drawings engage with both physical and digital forms of research, from photography and print journalism to architectural and environmental studies. The exhibition builds visitors with a real appreciation for the resilience of drawing, and its ability to respond to contemporary questions of dialogue and representation. These traditional pieces help us in taking a step back from the sometimes relentless and very much distracting digital age, to slow down and reconsider how we look at the world around us. The works in this exhibition concentrate on the drawing’s ability to convey the complexities of both past and present. CloudGuide is delighted to present A Slice through the World: Contemporary Artists’ Drawings available now on our App!